Of course I can't start this review without mentioning the cover. Another great cover by Jenny (Supernatural Snark and Seedlings). Of course I jumped at reviewing this book because of the beautiful cover. It also fits the story very well. I did enjoy all the characters but would have liked a few of the secondary characters fleshed out a bit more. I would have loved to know a bit more about Aunt Ila especially and her brother who we only see at the beginning of the book. I would also like to see more secondary characters in general with Ember's quest and I have a feeling there will be more forthcoming. My biggest problem with this book is with her romance with Sawyer. 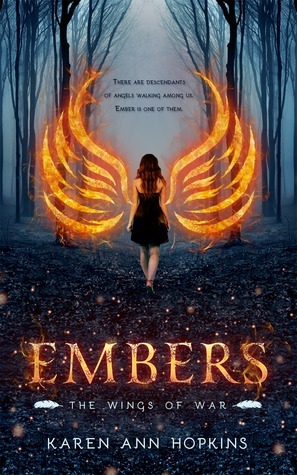 In the human world he is obsessive, abusive, and a danger to Ember and her loved ones. So while she straddled the line between the supernatural and the mundane I had a problem with her gravitating toward him. However, when she was just involved in the supernatural world I had no problem with him at all. It had to do with context. In this world he was a demon and that was his nature. It made sense. I give this book 3 stars. I did enjoy the writing and once the supernatural world took over I seemed to enjoy it even more. I'm looking forward to the continuation of this series and finding out what happens next. There will be two winners for this giveaway. 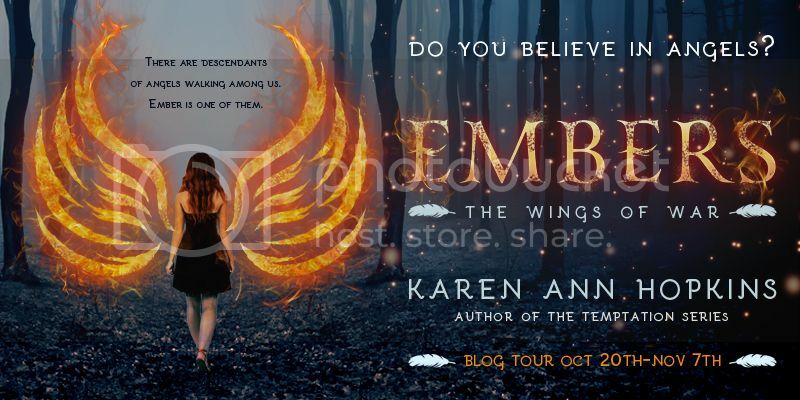 One lucky person will get a $100 gift card and the other will receive a signed Temptation Series book set, including Temptation, Belonging & Forever and 10 other winners will get eCopies of EMBERS. Giveaway is sponsored by the Kismet Tours. Please enter via the Rafflecopter form. Giveaway is open internationally for the gift card and ebooks. US/Canada for the book set! Friday, November 7th Books in the Spotlight & Her Book Thoughts! It really made a difference when the context changed. You and Mary are going to make me blush *group hug* Thanks for the shout out Melissa and for being a part of this tour!!! Your skills are amazeballs! Love your covers! The cover totally catches me! Thanks so much for the giveaway! I know! It's so pretty!! I love this cover too! I think you would have fun with this one! That happens so much with the love interests these days I almost have to just let it go to enjoy the book. I agree, this cover is gorgeous. Seriously, Jenny could do no wrong in her designs. I haven't really had an urge to read this though. Maybe I'm just tired of YA paranormal? I'm not sure. Maybe I'll pick it up one day though. I have been admiring the cover, and I had no idea Jenny did that one, how did I miss that? I am just not sure though that I am up for any more paranormal YA romance right now. I am feelign burned out on it. I can see why you are burnt out on it. I think that is why I read a bit of everything. Oh how interesting that in one setting he worked and the other he didn't. Oh my! I love that cover too! LOL! I was caught by it right away. Wow. And sounds like a neat story. Maybe the romance will work out more in the next book? Too bad about the romance, but yes Jenny's cover is fantastic..it just screams read me!! The cover is so beautiful! So exited to read this book! It sounds good, I like it that Ember is not childish but adult in her actions. Love the cover too. Great review - very helpful. Cool way of changing up the romance, with him being different in each world! The story sounds very intriguing. I can't wait to read it. I really really like the sound of this one! Winners of Doghouse by LA Kornetsky!